"Why you looking for a harmony? There is harmony in everything"
Sorry, no matches on eBay for "I'll Be Your Man McFly". 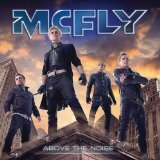 Sorry, no matches on Amazon MP3 for "I'll Be Your Man McFly".